I read recently that in the 20's (1920's) doctors put their patients on 20 carb per day diets to lower blood glucose levels. I am not diabetic but this belly I carry and my family history will lead to diabetes if I don't curb the carb and reduce the obesity to a healthy weight. I also read that during the famines and wars that the diet was modified and did not consist of the primarily carb laden foods we eat today. Carbohydrates always make me more hungry, sluggish and down-right sickly with pressure to my belly. I do now believe that belly fat is because of the carbs. I'm going to pursue this low-carb lifestyle. I have, the past few days, started the journey to lowering my carbs with intention of hitting 20 on days I don't work-out and 30 on days I do work out. 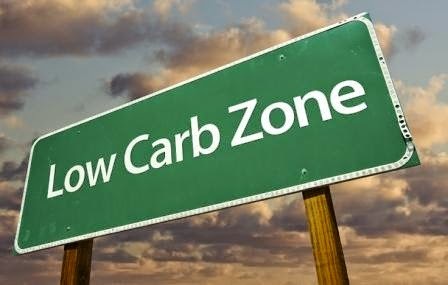 Depending on my bodies response to weight loss and living a low carb life I will eventully move up to 30 to 40 carbs per day. Thursday this week (9/11/14) found me eating 91 carbs and on Friday (9/12/14) I managed 87 carbs so I am working my way down to 20. Once I choose to cook rather than fast food I will be much better at this new lifestyle. Fridge full of healthy low carb and I still eat fast food. I learned something new this week by pulling out myfitnesspal and using it again: MY AWESOME iPhone is able to track my steps! It has something called iStep. I don't quite understand it but I love it. Need to get a (arm) band to carry my phone all the time. This i-Step thing is cool. So now it is time to head to bed for the S of N.E.W.S. so I can rest, rejuvenate and wake in time to hit the gym for the pool class!